From Mr Blamo comes his take on a classic originally from Soulless. 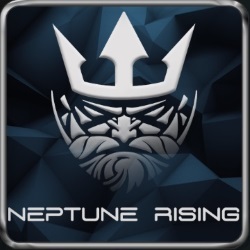 Neptune Rising combines a lot of very impressive lists with Real-Debrid, Pron.tv, and more support using the Universal Scrapers. This is not a Jen, but a fork of Poseidon. Enter http://repo.mrblamo.xyz > Enter BLAMO in the bottom box > OK. Install from zip file > BLAMO > Select the blamo repository zip file listed. Install from repository > Blamo Repository > Video add-ons > Neptune Rising > Install. NOTE: This add-on is a third party add-on and is NOT supported by the Kodi/XBMC foundation. Please do not post questions on the forum.kodi.tv website relating to this add-on.